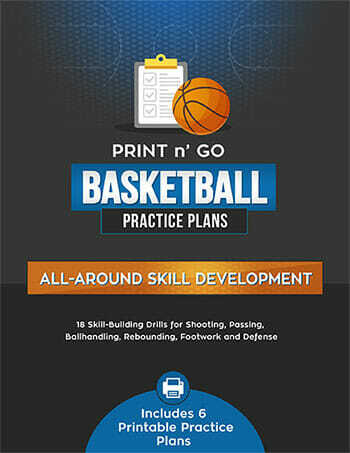 Coming up with new ideas for [tag]basketball camp drills[/tag] can sometimes be a challenge. Here’s a tip that has worked well for Tracy in VA. I use a [tag]basketball[/tag] drill called “War” that works well for my guys. It teaches them game intensity and really feeds into each of my players competitive nature. The drill starts with the [tag]coach[/tag] shooting the ball and both offense and defense fighting for the rebound. Even if the shot goes in, they still fight for the rebound. If the offense gets the rebound they play until they get a shot, if it goes in the offense gets 1 point. If the defense gets the rebound or the offense scores, the defense goes down to the opposite basket and try to score, if they do they get 1 point. 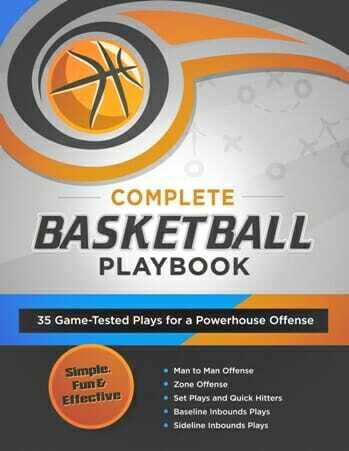 If the offense gets the rebound or the defense scores, the offense comes back down to their original basket and tries to score again. If they score they get 1 point. 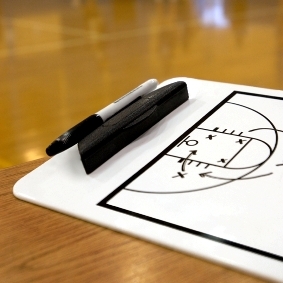 If the defense gets a steal, causes a turnover or gets a rebound the drill stops. So for each “turn” the offense has the potential to score 2 points and defense has a chance to score 1 point. After each “turn” the teams alternate starting on offense and defense. 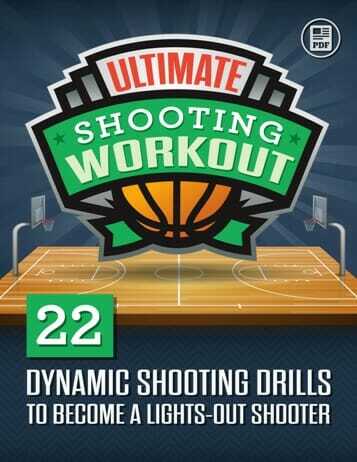 Each “turn” starts with the coach shooting the ball. The “War” is won when one team scores 5 points, the trick is each team only has 10 seconds to score before it’s a turnover. The 10 second clock starts when one team has crossed the half court line.